Great Merchbar Finds from Day One – 10 Items from our first day | Edward Aten - Let's push things forward. A quick summary of some of the merch discovery surprises from our first day! We’ve spent a lot of time digging though the huge catalog of merchandise we have at Merchbar (in fact, we’ve personally rated 10’s of thousands of items by hand to power our personalized recommendation engine) but one of the surprising things from our launch yesterday was all of the unique merch fans discovered and bought that we hadn’t seen before. When people think of merchandise they invariably think of tee’s but while we did sell plenty of shirts, there’s a lot more great band merch beyond. Here’s a sampling of some of the cool things bought yesterday. Show off your favorite band at the grocery store! 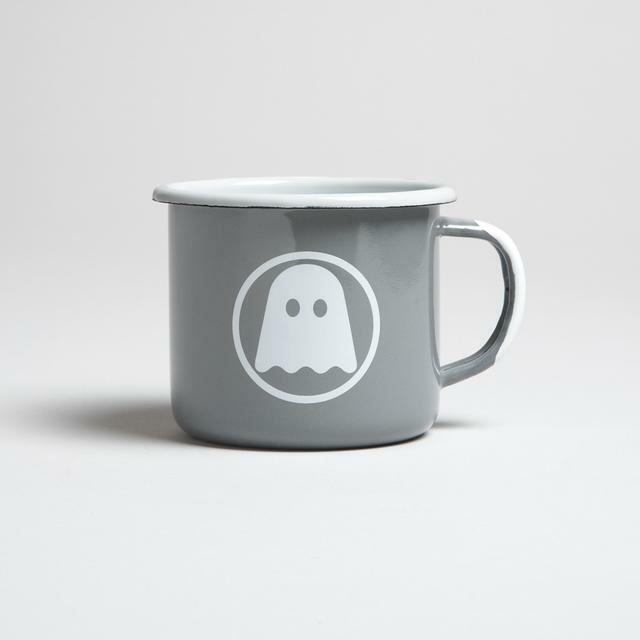 The team at Ghostly clearly spends a lot of time attending to the details and this mug is no exception. A classy way to contain your coffee for sure.